Creative writing is a great way to let your imagination go and create a story, that will leave the readers breathless, glowing with joy or dimming with sorrow. How many times have you been imagining yourself getting a Nobel or a Pulitzer prize? None? Wait a minute, you’re saying, you don’t enjoy creative writing assignments? Wow. That’s shocking. Though, in fact it’s not. To write creatively means to be able to make the form and the contents work in a perfect harmony. Or in a disharmony. But in both cases the result has to grab attention, pull the strings of the hearts and engage the brains. Writing experts struggle for years, trying to find a universal recipe for a great piece of creative writing. Someone might have even found it already. Maybe the recipe doesn’t exist at all. The only thing you should bear in mind is that the quality of the paper gets gradually higher as you practice. If you are 100% sure that creative writing is not a piece of cake, don’t worry. There’s a way to complete your creative writing project without sleepless nights and groans of despair. Creative Writing Paper: Leave the Worries About It Behind! The key ingredients of creative writing service are found in the name itself. First and foremost, the people, who work there, have to be creative. Our writers aren’t afraid to face the challenge of writing a story or a poem for you. There’s a long way from a student to a professional writer, and our staff has travelled it, having written loads of creative pieces during their career. Writing is an area, where we consider ourselves to be real masters. Lexical and grammatical errors, failure to meet your requirements, plagiarism – all of these are a taboo for us. 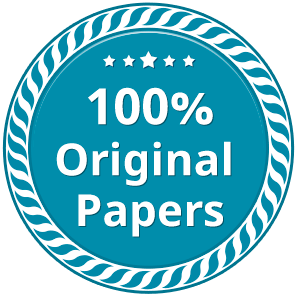 We are sure to meet and even shift your expectations, because your paper not only will be of a great quality, but also written in a way, that fits your personal needs and specifications. Our service will make you feel relaxed and confident, that you won’t be left alone with your writing assignments. Our customer support team is ready to help you 24/7, by means of communication, preferred by you. We guarantee the delivery of your paper up to the deadline, specified by you or even earlier. You can also be sure, that your paper will be formatted according to the standards, required by your professor. What is more, if you’ve decided to complete the creative writing paper on your own, you can consult our Tips and Prompts section: there are tons of good ideas and helpful advice there. Papersmaster.com is ready to take the burden of creative writing paper off your shoulders. Contact us, get your assignment done and go enjoy your life!